Even though it’s so common, that doesn’t mean the problem with dandruff is still totally solved. Dandruff means in fact the flaking off of the skin on the scalp. It’s not contagious, but it may embarrass you at times… especially when it gets onto your clothing and you’re wearing some dark colored clothes. Before trying to get rid of the dandruff, it’s better to understand it a bit as once you are dandruff-free you don’t ever want it back into your life. An important reason for dandruff is the very dry skin. In this case, the flakes are a bit smaller and are less oily. If you have dandruff caused by dry skin, it’s very likely that you may also have dry skin in other areas of the body. The most common reason for dandruff is the seborrheic dermatitis. The scalp is red and greasy and contains flaky white scales that also may have a yellow look. Seborrheic dermatitis has no effect on the scalp, but it may influence other parts of the body with oily glands. We talk about the armpits, eyebrows and even the sides of your nose. A fungus (Malassezia) may also be the cause on dandruff. This fungus is on the scalp of most adults and only some are allergic to it. Because of this allergy, the Malaessezia grows and the extra skin cells begin to fall off and die. And…dandruff may appear also because you don’t wash your hair often enough. The oils in the cells of your scalp start to build up and this is how dandruff appears. On the other hand, you may also get dandruff if you wash your hair too often. Some shampoos contain a substance that make the scalp become irritated and itchy. This is where an organic shampoo becomes more than necessary in order to get in control over the dandruff. What’s the story with the organic dandruff shampoo? An organic shampoo for dandruff contains only natural ingredients and no harsh chemicals. There are no medicinal ingredients in an organic dandruff shampoo, but only natural ingredients to help the scalp heal and get rid of the dandruff. In order to buy the perfect organic dandruff shampoo, there are some steps you can follow as you are trying to solve a problem, and not get any other one. First of all, you could go to a store that only sells organic products. 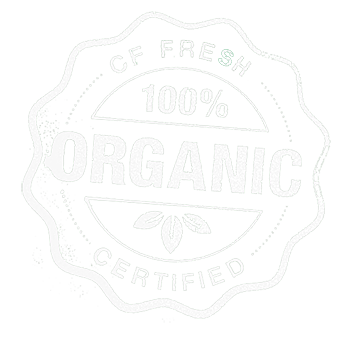 As organic shops are not as common as you’d think, the online shopping might be the best option. Once you’ve setup your mind to a shampoo, check the label to make sure the shampoo is actually certified as organic. Even though some products are labeled as organic, not all of them are and it only takes one ingredient for your shampoo not to be 100% organic. Some harsh chemicals may be included in your shampoo and sulfates and silicones are as bad as any other chemicals. Keep in mind that your shampoo needs to contain as minimum amount of alcohol as possible. Any organic dandruff shampoo containing essential oils is a great option. Essential oils heal the scalp and the tea tree oil and rosehip seed oil are well known for their benefits over dandruff. There are also some other natural ingredients that are great when trying to solve the dandruff issue. Coconut oil, argan oil, jojoba oil, olive oil, vitamin E, apple cider vinegar and aloe Vera are also efficient when you fight over dandruff. Going organic is a major decision. Using only natural ingredients for your hair/skin/makeup is not only good for the specific aspect, but also for the health of your entire body. Don’t get fooled by the labels and check the ingredients still and…don’t be afraid to change if that organic product doesn’t work for you! After all, there are so many other options and combinations that you can try!